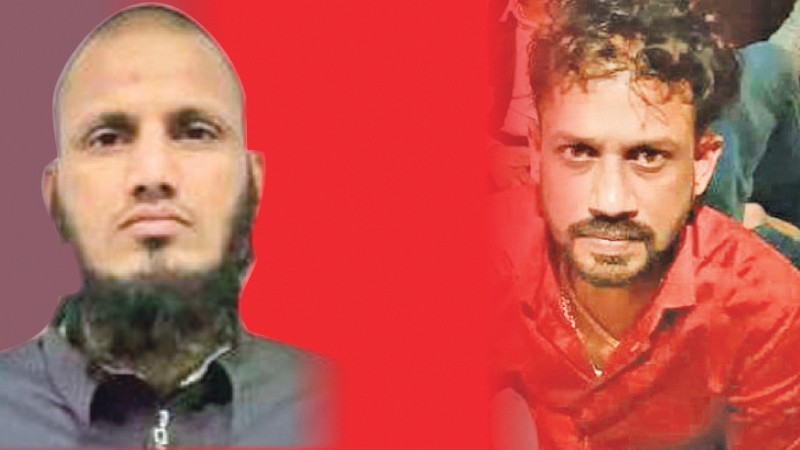 Drug kingpin Mohamed Najim Mohamed Imran alias Kanjipani Imran who has been detained under the Prevention of Terrorism Act (PTA) for the next three months has divulged details on politicians and Police officers who had maintained contacts with Makandure Madhush. Imran who is detained at an undisclosed location under the purview of the Colombo Crime Branch has also disclosed about properties owned by Madhush and businesses which are still being maintained by him. In a tell-all, Kanjipani had told Police that Madhush also owns a tourist hotel down South run by one of his acolytes. Acting on information, Police were led to a vehicle rental which is owned and operated by Madhush as well, despite the latter being in Dubai. It was found that Madhush during his time in Dubai had amassed wealth including land and properties in many parts of the country, the details of which are being investigated by Police. It was also found that both Madhush and Kanjipani Imran owned many properties and houses in Colombo. Imran has disclosed the names of many politicians and Police officers, some of whom are retired now, who are said to be in close contact with the fugitive. During the time he was in Bur Dubai Police custody, Imran had threatened many Police officers and high ranking officials who had been investigating his case. He had personally contacted Police officers at various branches and threatened them over the phone. When he was questioned by the CCD, he had defended himself adding that he was not against law abiding officers but those who had connections with the underworld. Imran also revealed that he assisted Madhush to gain an investment permit to settle in Dubai and conduct his businesses there. He further said that Madhush was elated by the publicity given to him in the local media for his criminal activities which encouraged him to commit more crimes. The reason he decided to organise his daughter’s birthday was to brag of his prowess and influence to the underworld here in Sri Lanka. Imran reportedly told Madhush not to host a party due to the backlash. However, the latter refused to pay any heed to his warnings. Imran revealed that he was reluctant to attend the party and had only attended the party at the last minute on the insistence of Madhush who had called him several times that night asking him to attend. He added that although local media reports mentioned that Angoda Lokka had attended the celebration, it was not true as Angoda Lokka did not even turn up at the hotel that night. Referring to the murder of businessman Riskhan, Imran mentioned that it had affected both him and Madhush. He had repeatedly told Madhush to not make Riskhan a business partner. However, Madhush had been adamant. The murder plot of Riskhan had been drawn up by Asanka, who was in the Magazine prison. It was the murder of Riskhan which caused a rift between him and Madhush, over which Madhush did not speak to Imran for over a week thereafter. Madhush was stubborn and wanted to avenge the killing of Riskhan to the point that he wanted to have the body of Riskhan’s killer placed next to Riskhan. He had been successful in this attempt and had carried out the murder as planned when the body of Kos Malli, the killer of Riskhan was kept close to the Aluthkade Court premises. Imran also told Police that Madhush was meticulous in planning out murders and knew well of how to carry out illegal activities and crimes. Meanwhile, an accomplice of Makandure Madhush, the mastermind of the diamond heist, Kelum Sampath alias ’Kevuma’ has been remanded till April 22 by Mahara Magistrate Heshantha de Mel. On March 4, Kalum Indika was arrested by Officers of the Peliyagoda Criminal Investigation Department (CID) near the Kiribathgoda Main Bus Stand. He is being currently held at the Mahara Prison. The suspect was arrested and remanded for impersonating a Police officer only to steal the diamond which was worth Rs.700 million from a Gem businessman. When the case was taken up at the Mahara Court on April 22, Attorney Susantha Kumara who appeared for the suspect, told court that the media had revealed that his client was an associate of ‘Makandure Madhush,’ and he has been threatened with death at the Mahara and Magazine Prisons. The Magistrate ordered the suspect to be detained at the Welikada or Colombo Remand Prison after considering the submissions. However, the magistrate advised that if the suspect cannot be transferred to either one of the prisons before his next court date, that the Commissioner General of Prisons should notify to court.